Our roster features only the best of the best in the handicapping industry, so it should not come as a surprise to see our handicappers putting up exceptional results. It has still been astounding to watch Nick Parsons working a 7-0 MLB RUN over the past seven days. 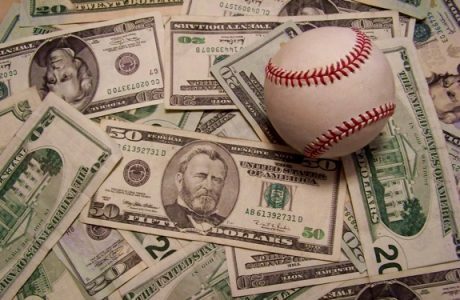 Scott Rickenbach has been the most profitable MLB capper over that same time period with a 14-5 record for a total of $9,310 in profits for his dime-betting clients. We have also seen some great results at the gridiron, and Bob Harvey has earned dime-betting clients more than $5,000 grand before the regular NFL season has even started! Check out all our NFLX Premium Picks for Friday or jump on a subscription from one of our top 5 NFL handicappers. College football is starting up on Friday with the California vs. Hawaii in Australia. Brandon Shively has a free pick on the contest. This game is being played on a neutral in Australia. I don’t think that this neutral field will benefit either team so I am going to exploit the head to head matchup here. Cal is a team that went 9-27 combined from 2012 to 2014 before winning 8 games last year, behind a QB (Goff) that got drafted in the 1st round of the NFL Draft. This is also a Cal team that has only been a favorite away from home 3 times in the last 4 years. Cal lost their top 6 receivers and 5 of their top 6 tacklers. While Cal will have a reliable QB in Davis Webb from Texas Tech, he doesn’t have a lot of talent around him and it will take time for Webb to get in sync with these new receivers. I will also note that Cal has a new offensive coordinator. While it’s still the ‘Air Raid’ offense, there are new schemes being installed and it will take time before the Bears are putting up 40+ points. With only 3 seniors starting on defense, I like Hawaii to score enough points to cover this spread. Hawaii is 5-0 ATS in Week 1 the last five years and are undervalued in this spot. There’s a new Head Coach for Hawaii and he used to play for the Rainbow Warriors. Nick Rolovich was the QB for Hawaii and will have former teammate Brian SMith as the offensive coordinator and associate head coach. I think these two guys are going to gel great and Hawaii can only get better as a team. Rolovich was the OC at Nevada the last 4 years. Rolovich came to Nevada after a wildly productive four-year run at Hawaii, where he directed one of the top passing offenses in the nation. He was the quarterbacks coach all four seasons and spent the last two years as the Warriors’ offensive coordinator. In Rolovich’s first game with Nevada in 2012, Rolovich beat Cal, 31-24, as a 12 point road dog, so their is some ‘deja vu’ here and a great storyline. Hawaii returns 9 players on offense (73 offensive line starts). Senior QB Woolsey should be able to lead the team on some scores against this soft Cal defense. While Hawaii’s weakness is their secondary, the Cal Bears passing game is not going to be up to full speed yet. I think Hawaii will be improved offensively from last year and Cal will struggle to score, especially touchdowns and the defense is not good enough to offset the offensive regression. Brandon Shively is a documented $47,860 in profits since 2013 in NFL/CFB combined! Brandon torched the College Football books in the ‘14-’15 season hitting a documented 67.5% of his picks during the regular season. Football is his strongest sport and after a down year in College Football last season, Brandon is primed for a bounceback and historic 2016 College Football Season. If you are looking to maximize your profits this football season, Brandon says he will do it for you and you will have a fun time winning while watching your bankroll grow and SMASHING your ‘Book’ all at the same time!